The evening sun was setting ahead of us and I was getting my first taste of Greek driving as Michael transferred us from the airport to our host family for the night. It suddenly dawned on me that I would be with Greek people all week, yet I hadn’t made time to learn any of their language. Now was my chance – an hour in the car with a lovely, English-speaking Greek guy. He supports Arsenal, but I can forgive him for that! His wonderful warm smile stretches across his face. “Ef-haris-to. Ef-haris-to.” I repeat the words again. If you’re going to remember something, then “thank you” is probably a good place to start! 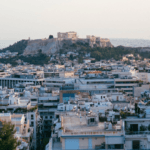 When I’d first heard about Kingsgate’s trips to Athens, something had grabbed my heart. As an introvert father-of-three, I’ve recently valued finding a bit more space in my life just to breathe and to be. But here was an opportunity to connect with issues in our wider world. A chance to move beyond discussion of social justice issues to engaging with the refugee crisis in a hands-on way. And to do it relationally with my Kingsgate family, through existing relationships on the ground in Greece. I have to admit the thought of sunshine, Greek food and a break from the usual routines of life meant this wasn’t the most selfless decision ever. I had little idea what to expect, which was probably for the best, as the days were fluid as they unfolded before us. 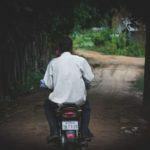 The ministry times were intense – a great variety of experiences, sometimes interspersed with rest, sometimes go-go-go. But given it was just four days, that was fine. This was what we were here for. Day 1 led us gently into the week, starting with a briefing from Stavros, the amazing pastor who has worked with refugees for over 20 years. I instantly warmed to him, a strong character full of passion and heart, kind and with a cheeky sense of humour. Someone consistently giving his life to serving the hungry and those in need. A pioneer. We were whisked away to a different part of town to spend time in a Gypsy camp. We drove through the trees to an opening on the hillside, arriving at a basic settlement of huts and homes. Many of the Gypsy people don’t speak much Greek, and they are somewhat isolated from Greek society. Our focus for the morning was children’s ministry, in a chapel-like hut, built for the community by a local church group. It was heart-warming to see the enthusiasm with which children, even teenagers, took to colouring in simple pictures with felt tip pens. With no preparation I was suddenly drawing on kids ministry skills I’d picked up in my previous church. In a community faced with so many challenges, I was touched by the way elder siblings cared for younger ones, and the hands-on way fathers were picking up babies and toddlers and loving them. We spontaneously began a rendition of “Heads, shoulders, knees and toes” and “Hokey Cokey”, complete with all the actions – its funny the resources you turn to when you don’t have a shared language! The next few days held a variety of experiences as the ministry trip gathered pace. Helping volunteers from around the world at an abandoned basketball stadium (from Olympics 2004), now a distribution hub for food and clothes to refugees across Greece and its islands. A day at an asylum centre, caring for children (many from Afghanistan) whose parents were being interviewed for their asylum applications. An evening with an Iraqi chef, preparing and serving top quality food for 350 people in an abandoned hotel, now home to a community of refugees. Helping at a day centre for refugees, (with the ‘Jesus’ movie dubbed in farsi showing in the background!) – making cups of tea, teaching English, providing child care, honing my table tennis skills and praying for a guy about to be repatriated to Germany. What amazing encounters with brothers and sisters of the human race; different experiences of life, often not sharing a language, but enjoying spending time together. It was so good to immerse myself in new situations, with different people groups. Uncomfortable – there were many occasions of feeling inadequate, “I don’t know what to say; I don’t know what to do”. But overall an experience of submitting, trusting God to use me without necessarily seeing the fruit of it in the moment. I can echo what I’ve heard many others share about ministry trips, that I felt I got more out of it than I was able to give. But that shouldn’t surprise me in God’s kingdom – we come to serve and get blessed in the process. It was great also getting to know the others on the Kingsgate team. Lewis and Esther led us gently through the week and their passion for the ministry was infectious, deeply impacted by their experience in Athens two years ago. We bonded in the evenings over gyros (kebab and salad in pitta) and Mythos beer. Another highlight for me was my host couple. They live in a simple apartment in a six storey block. From the balcony you see similar blocks extending in all directions for as far as the eye can see. From the moment I met this couple I felt their genuine love. Bear hugs and smiles, cheese and ham toasties waiting for me each morning, fruit thrust into my hand as I left for each day. Thank you Greece for your hospitality. Thank you to Jess and our 3 kids for releasing me to enjoy this adventure. Thank you Jesus for your love for your world.